This is an excellent shop. They have completed both small and big repairs on my car. I trust their judgment and honesty. I’ve been going to Elite for almost two years. I drive an older Lexus SC430. Elite took care of the timing belt/water pump replacement a few months back at a very reasonable price. I drank the Elite Kool-aid and am glad I did. More recently, I found a gorgeous used Lexus SUV at a local Infiniti dealership. It had 80K miles on it but otherwise looked great to me. Since it would be out-of-warranty, I phoned and asked T for some input on what issues typically go wrong on these vehicles. He is so darned friendly and helpful. He told me a few things that could be quite expensive and that I should be on the look-out for. I asked the dealership if their mechanics saw any evidence of developing problems (i.e. radiator leak, transfer case leak). The good guys at Perry Infiniti encouraged me to have my mechanic check out the car before I signed anything. So… off I went to see T and company. They had the vehicle up on the rack in no time. T brought me out into the service bay to show me what a transfer case IS…. and a few other potential maintenance items that are looming on the future. It made me feel very empowered – – and comfortable purchasing the vehicle. PLUS… T did not charge me for the inspection and advice. You can bet the new-to-me Lexus will have all its care at Elite. I feel so lucky to have found Elite. I don’t sweat the car issues anymore; I know that, regardless, I will get honest information to help me make my repair decisions. My Acura’s transmission was acting up and I knew my car needed some major transmission repair work. Currently I’m not employed at the moment so you know I had to do my research before stepping foot into any auto repair shop. Yelping around for a few days led me to Elite Service Center. The shop is cleaner than your average mechanics garage. Somewhat reminiscent of a high end car dealership minus the skyrocket prices. I had quotes from the various auto repair shops around the area because my car needed to be towed to the shop. They weren’t the lowest but the guy on the phone “T” was the most upfront and honest. After speaking to him he lowered his pricing to beat the other auto repair shop and he didn’t have to do this because my car was already towed to his shop. He did it out of courtesy and I owe him this review for being so kind. Thanks a million T! You just earned a customer for life. My Acura will be under your care til I get a new car. I doubt that will be anytime soon now that my car feels like a millions bucks! Cheap car repair shop in Miramar that does cheap synthetic oil changes. The staff are true car aficionados and know more than the mechanics found at oil change stations. One bad situation at an oil change station was one too many. The young mechanics forgot to tighten my oil pan’s plug. My cars check engine light came on and I had to get towed back from my motor overheating in my Honda Accord. Those days are long gone since I found Elite Service Center. I take a range of cars here for repair now from my Honda Accord to my Toyota Sequoia. Have got a plethora of things done to my cars including my transmission repaired. Nothing beats relaxing in the waiting area sipping on some coffee or watching enthusiastic mechanics working on your car through the windows. Many reasons why my cars keep coming back to Elite Service Center, cheap prices being the main reason. See you boys in a few months for my next oil change. 1/7/13..Man! I’ve never seen reviews this good. OK, I’m sold. I actually called and set up and apt for another Lexus independent shop but, I’m going to cancel it and try this place out. I’m gonna call them tomorrow thanks guys. P’S I have to rate this in the middle until I get the good experience everyone did OK. 1/9/13.. Yep!! I’m sold. thanks everyone, now I know where to take my car and yes they’re very very nice. My household has many makes of cars and finding that “special” mechanic that we can trust has been a lengthy process. Not only does that mechanic have to be trustworthy, but he has to be able to service Subaru, Lexus, and Mazda vehicles which made the process harder. Sure you can find a car repair shop for each car make, but an auto repair shop that can service all cars under one roof isn’t easy to find. I ran into this auto repair shop when I took my wife’s Lexus in for a brake repair job and was charged much less than another car repair shop closer to where we live. Since than I take all our cars here for service. I’ve done everything here from brake service, oil changes, and the occasional tune up. The oil change service here is cheap than other oil change stations like Jiffy Lube etc. Ask for Poly he knows more than the top mechanics at the Subaru service center. Needed to have my Scion XB AC condenser replaced due to a puncture. Since the dealer wanted to charge $1,400 for this, I looked around for better deals. Yelp reviews directed me to Elite, where I initially chatted online with T about my situation. He researched the issue, gave me a quote and I scheduled an appointment. He called me to confirm the parts arrived before the appointment. T answered all my questions and was upfront about all the costs when I dropped off my car. I got shuttle service both ways. Everything went as planned, AC is blowing very cold air and it ended being less than half of what the dealer quoted! I was very satisfied with T and the entire Elite crew. I will be bringing my car back here for service. Give them a try if this is your first look at them. 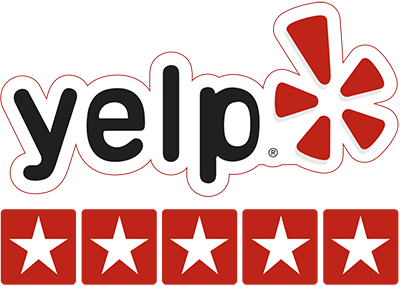 My experience with this business was good enough for me to write my 1st ever yelp review. I’m just blown away by their staff’s honesty and professionalism. Recently I took my wife’s IS250 to this place for an engine light on and “check vsc” on the dash and it did not take them too long to diagnose the problem. T, their service advisor, explained to me what was going on with the car and even made me aware of the service bulletin sent out by Lexus that is associated with it. He then advised me to take it to the dealership and have them take care of it as it would be covered under the factory warranty. Had I brought the car to somewhere else I would have probably driven the car back home dissapointed and with $100 less just for the diagnostic fee. We just found a new home for car maintenance and repairs thanks to ELSC! My go-to Toyota service center in San Diego since last week. I easily confess that I know completely nothing at all about my car, but I will easily notice when a little something is wrong (like my Toyota brakes are “squeaking or my check engine light is on). Came here last week for a car inspection before buying a used Toyota last week. After we purchased a 2009 Toyota Tundra with 49k miles for 25k. I immediately took it to Elite Lexus to get an oil change, brake pad/rotor replacement, and a number of other small repairs done to the Toyota truck. The truck now runs like butter and the brakes don’t vibrate any more. Fast with the quotes, and cheaper than other Toyota dealer for repairs. Super quick, helpful, and knowledgeable. You’re not going to find better prices for Toyota repair in San Diego. This place was amazingly fast and efficient. They are fair priced and they ended up making sure all my fluids were good and topped me off for no charge! Definitely will be back! Haven’t taken my Nissan Altima in for service in years. It was over mileage. I only took in for oil changes. Made some rickety noises and did not shift smoothly. Needed it to last me for another 5 years so I decided to finally take it in for a tune up. I didn’t expect such a drastic difference in my car. The customer service was fantastic. They did a full inspection and gave additional recommendations for service over the phone. They didn’t charge me for anything until I gave them the OK. When I got my car back, it sounded like it was brand new. I definitely plan on taking my car here for future services. And on top of that, they provide a car rental service. You pay a deposit up front, but it will be refunded back to you upon return on the rental car. Really helpful since I drove with my 20 month daughter and didn’t have the luxury to just hang out in a lounge for a few hours. Was nice to have a car to drive and hang out in the comfort of my own home while my car was being serviced. I love this place enough to drive from Alpine to have them work on my SC400. They all greet me by my first name when I walk through the door, they make you feel like family. They are very honest and will not try to recommend something you don’t need. They have also provided me with a free rental car both times my repairs took most of the day. If you are looking for a professional, knowledgable, friendly, and honest team, call Elite. I forgot to mention that they even walk you to your car when you leave, that’s pretty special treatment in my eyes. My 99 SC400 runs and handles like brand new thanks to the team at Elite!! Giving a review to the best and cheapest auto repair shop in San Diego. Why? Because It gets annoying when mechanics that work on my Acura make the repair seem harder than it is to charge more. I don’t know much about changing the oil in my Acura or replacing my brakes, but how hard is it especially on a Acura. An Acura is basically a Honda but slightly more expensive. My wife owns a Honda and all the Honda mechanics I have spoken to in the past tell me that servicing a Honda is one of the easiest makes to work on. Well gone with the old and in with the new. I finally made the switch from another auto repair shop to Elite Service, because no job is hard for the mechanics at Elite Service Center. I’m sick and tired of the games other car repair shops play. These guys are straight shooters and the oil changes are cheap here. You’ll find the pricing at Elite Service cheaper than other independent auto repair shops and oil change stations like Jiffy Lube. The best part is that they use authentic parts from the dealer and that alone should tell you their not into making a quick buck. Talk to Poli if you own a Lexus or Toyota, and Sonny if you own a Honda or Acura, both are ex mechanics certified from Lexus and Acura respectively. Besides their excellent service for Toyota’s that led me here last year. My first visit to Elite Service Center was for a transmission repair so that I could trade my Toyota in at Car Max. The car just wouldn’t get in gear when I put it on drive. They quoted me the cheapest price to repair the transmission. I now own a Honda and they service Honda cars remarkably cheap too. My brakes were squeaking and I brought it in for them to repair brake system. I left with silent brakes like the first day it came off the Honda dealership parking lot. Special thanks to Son the most patient mechanic ever. Went to have service done on my 96 Ls 400. T and the guys totally blew me away when i picked up my car. Not only did it drive better it felt like a new car again. These guys are on to something and by that i mean something big. They found a way to take care of the customer at a fair price with top notch Lexus standards. I will surely use them again. Do yourself a favor and take your Lexus here for service. All the mechanics are ex Lexus employees. The prices are insanely reasonable because they actually know all the in and outs of my Lexus which in turn reduces the labor charges. Inside the shop is amazing and really modern looking which I like. I’ve referred a few of my friends here already and all of them came back to me with praises. Great staff to deal with and you really can’t beat the type of service their pushing here. Cheap service with a smile. No more sifting through mail for Toyota service coupons. Lower pricing than Toyota dealerships on brake service, transmission flush, oil change, etc. Even with a coupon, the Toyota dealerships are real pricey in comparison to Elite Lexus Service Center. You know your in good hands when the Toyota mechanic seems to love what their doing. Although the bays are usually filled with Lexus vehicles, Toyota service here is on the cheap for Miramar area. One of the cheaper Toyota service shops in San Diego. I was referred to Elite Mobile by a Lexus service adviser that became a friend of mine over the years. I sold my Lexus and now have a Toyota Camry to save on gas. Since I’ve been with Elite, I now don’t have to cringe at the sight of another high repair bill for my beloved Toyota, because the prices for maintenance here is more reasonable. Oil changes for Toyota vehicles include the lubing service which is convenient. I don’t have a Lexus, but they also repair Toyota’s at Elite Service Center. I was referred by another local auto body repair shop for their cheap prices on oil changes and it was a great dealing with their knowledgeable staff. They knew my Toyota more than I did, and went out of their way to set me up an appointment at the Toyota dealership to get some recalls ironed out. I had my oil changed and front brakes repaired. My brakes aren’t vibrating every time I hit the brakes now, woo hoo! There isn’t another auto repair shop in the whole county of San Diego that I would trust with my Toyota. They are straightforward and cheap with Toyota service. The prices are sensible and the mechanics are knowledgeable. It’s really worth the tow, push, or drive to San Diego because their just that cheap. Best place ever. Elite Service Center just opened down the stret from my house. I live off Pomerado and have always drove down to Lexus San Diego in Kearny Mesa Road to get my Lexus repairs done. My old Lexus repair service adviser apparently is working here, which is cool because he’s honest, knowledgeable, and I always leave with a cheap repair bill for my Lexus =D. They nailed the three things I deem very important when selecting a auto repair shop for a Lexus. When it comes to servicing my car, I learned to avoid the Lexus dealers like the plague. The $135/hour repair rate Lexus demands for maintenance service or repairs is a joke. These guys are cheap and close to half that rate. The facility is extremely clean and there’s also a lounge area to kick back while you wait for your Lexus to be serviced. My visit this time was to get an oil change for my new Lexus hybrid. Highly recommended if your looking for a Lexus repair center with reasonable labor rates on Miramar. Elite Service Center deserves 5 stars from me. I wish I had written this review sooner but actually waiting has given me time to drive the car and fully appreciate the work they did. I needed a major repair and service on my 2000 RX300. It was days before Christmas and not the best time for a large auto bill. However the work needed to be done. Qua and T were extremely mindful of the timing of the expense and did everything they could to keep the bill as low as possible and for that I was extremely grateful. The car drives like a champ again, absolutely an excellent repair job, and an experience that merits praise. This was my second visit to their shop and I know I will always take my car there. If you are that person and want an honest, thorough place to take your car (Lexus)- T Nguyen is the person you should contact. I’d say his prices are 20-30% cheaper than Lexus, it could be a little cheaper, but nonetheless the do a fabulous job and they are super honest and genuine. I actually wanted to do something on my car and T actually told me not to do it because it isn’t bad yet- how is that for a mechanic/body shop? Happened to use Elite service center in the past to service my wife’s Toyota Prius and the mechanics do excellent and fast service. The main thing that led me to keep coming back and now even taking my Honda Pilot here for their auto mechanics to wrench on is the prices. Another big thing was that they use of factory parts and oils. If you’ve seen their shuttle car you’d be amazed by how well the motor runs at 150K miles. Runs just like it rolled out the Lexus dealership. Son services my Honda and Poli handles the service for my wife’s Toyota Prius. Son is an ex master mechanic at Acura and Poli is an ex master mechanic at Lexus. And now you know why their the only mechanics I trust with my cars. My Toyota 4Runner was having strange, random engine shuddering – vibration issues while driving on the freeway [mostly]. Having been told by the local Toyota dealer that I had extensive engine damage [based on what?…sludge on the oil fill spout?] I called Elite Lexus and spoke to “T”, the service manager, and, keeping my fingers crossed, brought my car in the next day. After a test drive, Son said he was pretty sure the probem was with the spark plugs. Sure enough, his diagnosis was right on the money. He installed my plugs and changed the engine oil per my request and had me back on the road in no time. Believe the hype. These folks are friendly, honest and reasonably priced. What more can you ask for? P.S. I think “T” stands for terrific! I went here on a recommendation, I had no prior knowledge of the place as I’m from out of town. I brought in my Toyota. The customer service, specifically T, was great! Very friendly, knowledgeable, and thorough. He even lowered the price of my service to match regular dealership prices. Well, beyond matched, he went below it. The service itself was fast and went just fine. In fact, they saved me money by telling me there was no issue with my air conditioning which a dealership I had gone to was suggesting I get work done. This place is top notch, I highly recommend it! If you are looking for high-level, dealer quality service and treatment for your Lexus or Toyota, without the super high prices, then this is the place. I just took my RX300 in and am so very happy to have found Elite Service! Thank you T! It’s nice to know that a professional, Lexus/Toyota certified service center like this opened during these difficult economic times. You basically receive the same, if not better service than a flagship Lexus dealership at a realistic/affordable price. Usually you find hole in the wall auto-repair shops up and down Miramar Rd. in dingy, fly-by-night locations. Definitely not the case with Elite Lexus. The pride of ownership and professional service is more than evident by this locations decor and attention to detail. I actually brought my father’s Infiniti G35 to Ty for a 90K service after discovering how much my retired/senior/war veteran father was being fleeced by an unscrupulous, local Inifiniti dealership. Needless to say, all of my future Lexus/Infiniti repairs will be provided by Ty and his certified technicians. This Toyota service center has brought back my trust in mechanics! I went to Elite service center after researching Toyota mechanics. I had the best Toyota repair experience I’ve had in quite some time. Took my 2007 Toyota in for service and maintenance. It was overheating and some other minor issues with the brakes making noise. T and his mechanics recognized the problems, and were up front, truthful and to the point with me about the repairs and parts my Toyota needed. T not just spoke to me about what was wrong, but showed me under the hood. Then he quoted a low price on parts/repairs and completed the work in a timely manner. These Toyota mechanics are unbelievably attentive, simple to communicate with, knowledgeable and do amazingly quick work. My Toyota is now again running smooth and feeling just like it should. I have ultimately found a truly awesome Toyota mechanic that I will absolutely come back to for maintenance I need done on my Toyota in the future. I am ecstatic to have found T at his new shop! For over 10 years, I enjoyed the pleasure and awesome benefits of having T, the owner of Elite Service Center, be one of the representatives who I would routinely request to speak to when I had to get work done on or discuss a situation regarding my Lexus when he was at Bob Baker Lexus dealership. To say the least, I was extremely disappointed when I discovered he’d left Bob Baker. From the beginning, his friendly and awesome personality, extensive knowledge and honest direction and guidance as to what/when and how I should get work done on my Lexus helped to keep money in my pocket, serious peace of mind AND a great running car. ;o) . Am honestly looking forward to owning & enjoying my car for years to come because I know that I will receive correct, awesome and affordable service from T. My prayer is that others will find and experience the great work/results and prices T’s service center will give them when they allow him to work on their vehicles. Check out our great customer stories & let us know how we’re doing by leaving us a review. Or email us at info@eliteservicecenter.com. Thank You.